For the 8th post in our Google Summer of Code series highlighting the new open source organizations we are welcoming into this year’s program, we have organization administrators from LTTng, Constellation and PLASMA describing their student’s projects below. The LTTng project (Linux Trace Toolkit - next generation) aims at providing highly efficient tracing tools for Linux. Its tracers help to track down performance issues and debugging problems involving multiple concurrent processes and threads. Tracing across multiple systems is also possible. Apart from LTTng's kernel tracer and userspace tracer, viewing and analysis tools are also part of the project. LTTng's performance relies on techniques such as Userspace RCU, lockless algorithms, per-cpu data structures and cache impact minimization. Zifei Tong will work on dynamic instrumentation support for the userspace tracer (UST). The current UST tracer relies on static tracepoint probes manually inserted in the traced application’s source code. This project aims at providing dynamic instrumentation capabilities in arbitrary applications. Xiaona Han will work on improvement to the Babeltrace Python bindings. Most of the public Babeltrace API is currently mapped using SWIG. However, a more “Pythonic” set of wrapper classes will make trace reading and writing more accessible than using the current native API. Constellation is a young academic group at the University of Stuttgart, Germany. Our goal is to provide the creative environment for realization of different aerospace projects. As one branch the group offers a distributed supercomputing platform for solving aerospace related numerical problems. The massive computing power is provided by volunteers donating their idle computing time at home by forming a virtual super-computer via the internet. For this citizen space science method we are using the open source software called BOINC (Berkeley Open Interface for Network Computing). We are currently supported by 7,000 volunteers providing 20,000 host PCs to our computing grid where they help us optimize the thrust curve of a hybrid-engine sounding rocket by the student group HyEnD, and find a trajectory between Earth and the Earth-Moon-libration point EML-4 for the communication relay satellite mission TYCHO. We are really honored to be part of this year's Google Summer of Code, and we have three students working on diverse ideas. We try to find the optimum interplanetary trajectory for one probe to all eight planets in our solar system and Pluto with "Solar System Grand Tour", which includes n-body simulation and implementing optimizing algorithms. We want to support flying observatories like SOFIA by NASA and DLR to maximize their observation times by optimizing flight routes with "airborne observatory". And lastly, we want to excite children about space with an educational and fun "space trumps" card game for Android mobile devices, so that they will be involved in STEM professions when they grow up. This is the power of citizen science and open-source! 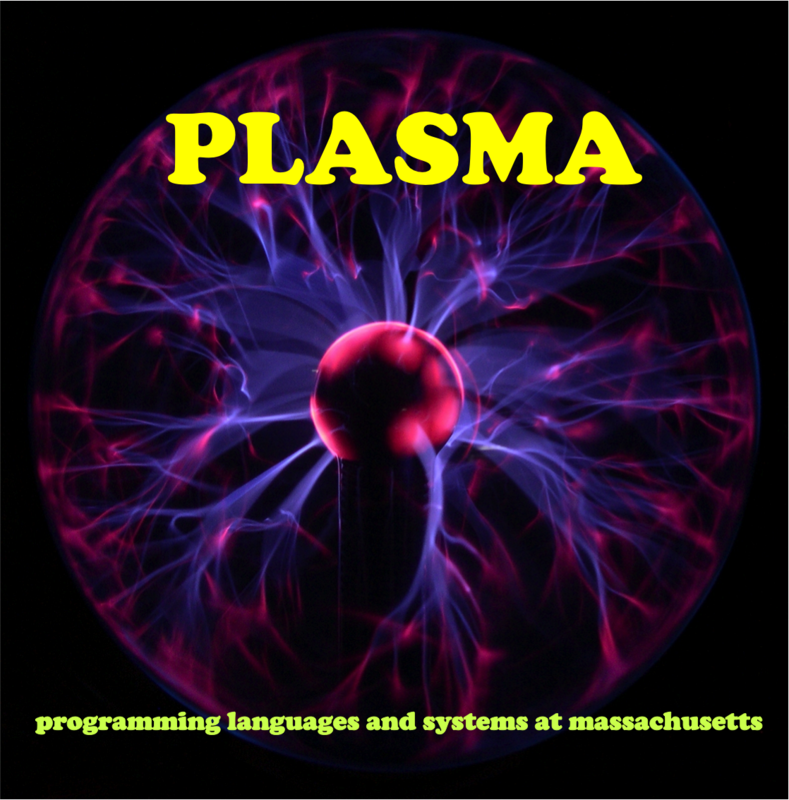 PLASMA is a research group at the University of Massachusetts that works on a diverse array of projects that span the space of programming languages and systems. We are very excited to take part in Google Summer of Code for the first time! This summer we are fortunate to have three excellent students on board working on two of our projects, Doppio and CheckCell. Doppio is a Java Virtual Machine written in CoffeeScript that can run unmodified JVM programs in the browser -- no plugins or recompilation required! Giles Lavelle is working on adding AWT and Swing support to Doppio, which will enable us to run GUI programs. Braden McDorman is adding networking support to Doppio using WebSockets, which will let JVM programs make use of the network through standard Java socket APIs. CheckCell is a tool for finding input data errors in spreadsheets. CheckCell combines statistical and program analysis techniques to find errors: values that have an unusually high influence on formulas or charts. These values are either extremely important, or are wrong. Our Google Summer of Code student, Alexandru Toader, is porting CheckCell from Microsoft Excel to Google Spreadsheet, allowing anyone with a modern web browser to use CheckCell online. These are only a few of the new organizations participating in Google Summer of Code 2013. Stay tuned for our final posts over the next couple of weeks highlighting the remaining 40+ new organizations. A complete list of the 177 organizations mentoring students this year and the program timeline are available on the Google Summer of Code program site.